(b. 1977, US) is a musician working with the soprano saxophone, electronics of his own design, and computer music. 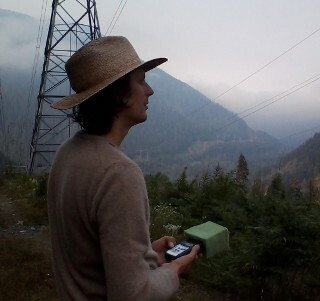 He improvises, composes, and is developing sound installations exploring acoustic holography. Growing up in the desert region of eastern Washington State, he was trained in analog photography before becoming musically active in Portland, Oregon in the late 1990’s. He’s lived and worked in Portland and New York City, and is currently based in Berlin where he is developing solo work and often collaborating with numerous other composers and musicians.